Some years ago when I was a sophomore in high school, my oldest sister was perusing a degree in music at VCU in Richmond. I was the Baritone Saxophone player for my high school concert band, marching band and stage band. The bari-sax for me was the cool factor just like the leather jacket was for the Fonz, Heyyy! One winter break, I was invited to sit in with the VCU pep band for the Christmas Basketball Tournament. The usual bari-sax player had to be away and they were desperate to fill the slot. My sister believed that I could handle the demands of the music and I agreed to spend my Christmas Break on Campus with the VCU pep band! One of the things I remember most vividly about the tournament was the song the pep band played when the referee’s and umpires were introduced. The band eagerly played the old childhood nursery rhyme: “Three Blind Mice”. 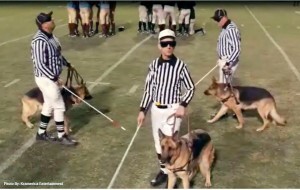 Every true sports fan recognizes that the human condition is not 100%accurate and we all have seen the instant replays that sometimes contradict the referees’ vision. Even with what we describe as perfect eyesight, we are deceived at times by differences in lighting, colors, textures, distractions and previous data that our brains have stored from past experiences. Our other senses offer information that travels to our brain and helps us process what we truly perceive. And many of us have some dysfunction in one or more of our senses and thus we learn to overcome those dysfunctions with increased use of our other properly functioning sensors. For the man born without eyes in the Gospel reading today, he did not know what he was missing having never seen light or darkness. The blind man never saw the beauty of creation but he also never struggled with the passions the eyes can tempt us with. We can choose to fill our eyes with spiritually edifying things or we can let them imprison our soul with debauchery and waste our time on this earth with distractions that separate us from God. The next time I hear the nursery rhyme “Three Blind Mice”, I will hopefully weigh how blinded by darkness I have allowed my eyes to be and how much more they need the Light of Christ! 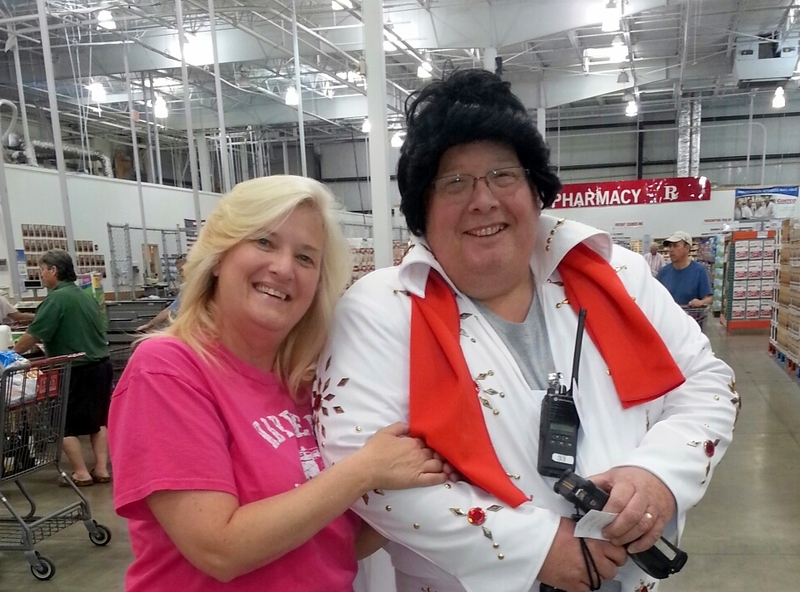 This past weekend as my wife and I approached the checkout line at our nearby Costco, out of the corner of our eyes we caught a glimpse of Elvis! I walked over to where Elvis was standing and asked him if my wife could get a picture with him. After all, some people believe that Elvis is dead! He warmly agreed and I thanked him, I thanked him very much! The gentleman we saw at Costco was only imitating Elvis, or just a small part or a few characteristics of Elvis. He was dressed as Elvis would dress and was sporting a black wig that resembled Elvis’s hair but there were some differences as well. I noticed that his voice was not the same and I doubted that he could muster the energy and vocals needed to convince me of his authenticity. It must take a lot of preparation and practice to imitate Elvis, the king Presley! Some impersonators take years of vocal lessons and a few even have cosmetic surgery to alter their appearance in a more Elvis way. Well, as far as being an impersonator I don’t know about you, but it is a full time job just being me! I spend all of my time being a husband, parent, boss, businessman, dog walker, mister fix-it, and church servant. But with all the different roles I play, I am supposed to be a reflection of Christ and His teachings all the time! We here in the Epistle reading this morning that: “Therefore, I beseech you; keep on becoming imitators of me.” [1 Cor. 4:16] At times we all are great imitators of Christ! It is visible in our outpouring of love. Our Epistle instructs us to keep becoming or keep practicing the examples Jesus gave us. Then, I would have to say that I am a poor impersonator. Like the Elvis we saw, at times I have some characteristics, I wear a cross around my neck and have some Christ-like similarities but find myself missing the mark in my day to day imitation of the One who loves. I constantly fight feelings of anger, resentment and pride, just name a few! It seems though if I truly love myself, I would surrender once and for all these imperfections I take refuge in. As I think back to my 7th grade Latin teacher teaching us the Latin phrase “Vestis facit virum” or clothes make the man. I felt even at that age there was some substance attached to this Latin saying. This motto tells us that people will judge according to the way we dress! And yet we here of very wealthy people dressing as peasants instead of adorning themselves with the latest fashions, maybe hiding their status or perhaps feeling that even with all their wealth, a since of unworthiness. There are many clothing references in the Bible. I’ll begin with the clothing of a priest. While the priest’s clothes don’t make the man, they symbolize what the man should be. Scripture consistently uses the image of new clothes provided by God to stand for our righteousness in His eyes. Consider first Isaiah 61:10: “I will rejoice greatly in the LORD, My soul will exult in my God; For He has clothed me with garments of salvation, He has wrapped me with a robe of righteousness.” Salvation and righteousness are clothes that God provides. And he not only provides them but also dresses us in them. Sojourners on the path to salvation, clothes do make the man, not the store-bought kind, but the kind of covering that only comes from seeking God first! So cover yourself fully with the Orthodoxy of God and all your needs will be added to you! One of the greatest enemies of farmers is the increase of weeds amongst their crops. To help fight the infestation of this unwanted vegetation, a lot of time is spent in the preparation of the soil before seeds can be planted. Things have changed over the years and new planting methods have been introduced but still the best soil preparation is done by way of tilling the soil, breaking up the clumps with a disc and dragging the ground to gather rocks and provide a smooth surface for planting. Tilling the soil is important to eliminate the deep roots of unwanted weeds. The weeds steal all the nutrients from their surroundings and are not a nutritional source for the farmer to feed their animals. However, tilling the soil leaves deep furrows which would not allow a bountiful harvest, so the farmer orders the ground with a disc and harrow to break up large clumps of dirt and eliminate the deep furrows left behind by the plow. And then if necessary, a drag can be pulled over the dirt smoothing out any low spots and catching the surface rocks. Not all of the farm land is tilled. Some acreage is set aside for pastor and hay. 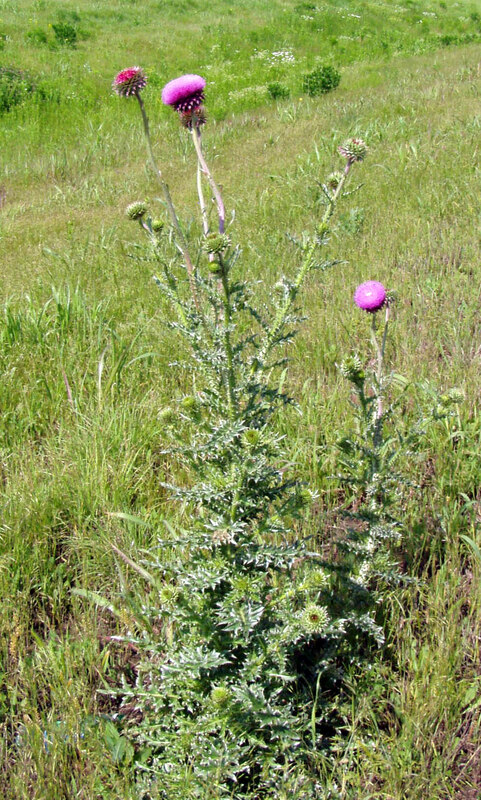 Many times in my youth I was sent out into the pastor and hay fields with a sickle to engage in hand to hand combat with the deep rooted tall weeds called thistles. Since these fields were never plowed, the weedy thistles developed deep roots and became more frequent and multiplied like rabbits in the fence row. As Christians we must be “good ground” (Lk.8:8) by preparing the soil of our heart with the labor of repentance. Confession of our sins is much needed in eliminating the spread of our sinful thistle seed, but it will take the work of true repentance to thrust sins deep roots from our rich passionate flesh. We need to nourish our seed of love by feeding our hearts with prayer, focusing our mind on God with spiritual reading and the words from our gospel. We want to attend church services regularly as a watchful farmer protecting our crop. We should continue to focus on improving our relationship with God and not allowing the world’s glitter to distract us. And with God’s grace falling down like rain on our dry seed and the warmth of the love from His Son, His harvest will be healthy within us. This past spring, we had a family of groundhogs move into our barn and start tunneling in and around the foundation. Last winter we had repaired all the holes in the lath siding and we had hoped to make this barn a dry and safe place to store things. So I borrowed a live trap to catch the critters and haul them far away. After catching two groundhogs, I reset the trap to ensure all the varmints were removed! Much to my surprise, the next morning as I walked to the barn I noticed the trap was sprung again! As I drew closer I could see that this groundhog had a much darker coat of fur, and I could even see a white stripe down his back. 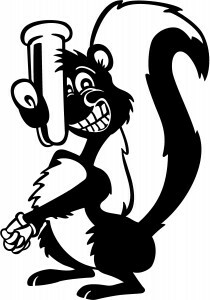 Upon arriving at the trap, I concluded that the animal in my live-trap was a skunk, or better known around these parts as a pole-kitty! Oh my, what to do? Well of course I grabbed my smart phone and asked Goggle how to best handle the situation. I then circled the trap, away from his tail, and using a stick, I partially covered the trap with a tarp. After about 10 minutes, I returned to the barn and completely covered the trap with a tarp, placing the stinker in total darkness. An hour later, I gently lifted the cage and leaving the tarp on the trap, carefully placed the rascal on the back of my pickup hoping not to set off the skunk’s detonator. We then took a ride to an unpopulated area and I removed the critter from my truck and placed him on the ground. I slowly removed part of the tarp and placed a stick in the doorway providing him a clean get-away. After a couple of minutes, I removed the tarp and waited. It did not take long and I felt very relieved as he exited the trap. I then returned to the barn and set the trap one more time. Guess what? The next morning I was surprised to see another black and white animal in the trap. This one was much smaller and seemed nervous; in hindsight I should have been more attentive! I unfortunately was not as smooth with my approach and the little fellow hit one out of the park, landing his vile spray on my face, arm, jeans and right shoe! My nose burned as the smell populated the air! Is there anything more potent then the odor of a polecat? Well, the damage was done but I proceeded to complete the mission of getting him loaded onto the truck. Before climbing into the cab of my truck I realized that I needed to remove the toxic chemical from my clothes and skin. I needed a bath, and some clean clothes! With my wife’s help and scrubbing my skin with lye soap, I was able to remove most of the smell and then was able to take the little fellow to the same unpopulated place I had taken his kin-folk. After many days, the trap remained empty and the stinky stain diminished over time. It sure takes a lot of effort to eliminate that type of stench! There is another type of bath that we can take that removes even more vile smells and stains than lye soap. It is the spiritual bath of baptism that restores us to perfection. However, if we then chose to trap the devil in our heart and continually embrace the vile stench of sin, we will need to recleanse ourselves often with confession and the reception of the Holy Gifts. I pray that our sinful nature be as distasteful as the wicked smell of a skunk and frequently wash ourselves in the blood of the Lamb. And in this season of Theophany, we need to prepare for Great Lent and have our homes cleansed as well! What was used to bring death to a condemned criminal is now used to bring life for us wayward sinners. 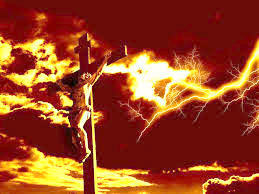 This piece of wood that held the dead body of our Lord could not consume the Alpha, no; this Holy Cross is our b eginning of life without end, encompassed by the loving embrace of our Originator. Our Creator loves His creation! We celebrate this feast of the Exaltation of the Holy Cross at the beginning of the church year and at the beginning of another school year! The Church reminds us that only through humility can we embrace salvation. For the Lamb was slain not to pay our debt but to rescue us from our fallen condition and offer us sinners a relationship with God. How hard it is for this mortal man to understand the kind of love that is perfect and not flawed by our human woundedness. Our Creator loves His creation! And although I have tasted the sweetness of salvation and felt the warm embrace of God, my habitual frame of mind tends to return me to sin like a dog seeking his vomit, finding destructive rest in the comfortable surroundings of my past frequent worldly choices. And then I fall down at the cross confessing my sinfulness and lack of trust in anything other than myself, regaining my path to eternity, and my Father welcomes me home! “O taste and see that the Lord is good.”( Psalm 34:8) Our Creator loves His creation! Perhaps you too are feeling overwhelmed by the dark shadows of this world. It is time for a change! You are not alone! You are a member of this family. “Come to Me, all ye who labor and are burdened, and I will give you rest. Take up My yoke upon you and learn from Me, for I am meek and humble in heart; and ye shall find rest to your souls. For My yoke is good and My burden is light.” [Mt. 11:28-30] Glory to God who has shown us the Light! Our Creator loves His creation! In the schoolyard playground stood a tall, long metal piece of equipment that looked like someone had taken a long ladder and bent both ends down and stuck it in the ground. The big kids would climb on this thing and swing from bar to bar and try to go as fast as they could from one end to the other. I was too s mall, too weak and uncoordinated. I had to get help to climb the ladder and then have someone support me by holding my waist as I tried to maneuver the bars. 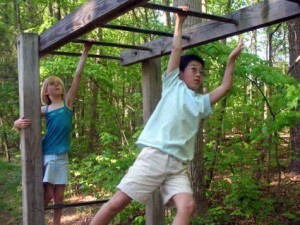 I set my goal to one day master this huge piece of equipment known as the monkey bars! As time went by, I grew taller and built up my strength, I began to improve my eye-hand coordination and slowly began to work my way up the ladder and down the length of the bars. The more I practiced, the faster and faster I became. Eventually I mastered the monkey bars and at times you could even hear me let out a Tarzan yell as I speed through the course! It took years of practice, patience and growth before I became an expert on that device. Now days since I am physically all grown up, when I embrace a challenge I expect fast results! I am still impatient! I am not in as good physical condition as I once was but I hope my spiritual condition has continued to improve. We all grow spiritually as we gain dependence on our Creator, less of me and more of Him! 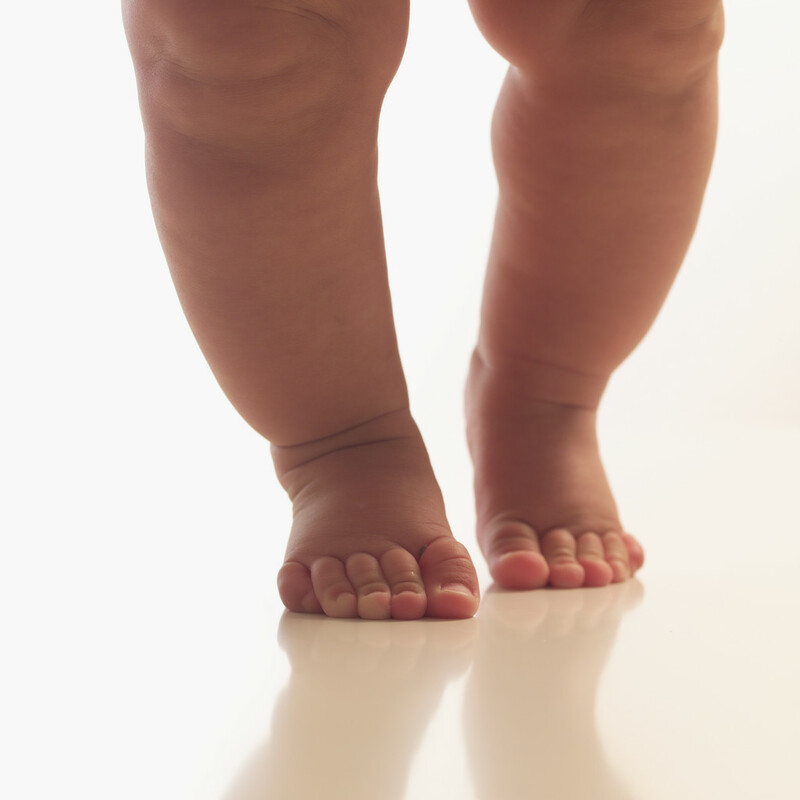 Most Sundays as I look out into our nave I can see glimmers of young children wobbling around, well out of arms reach of their Mom and Dad, gaining certainty and stability with their new found skills one baby step at a time. The more they practice, the less they fall down and the more they mature. And not to worry, Mom and Dad are always within eyesight and ready to leap into action with a warm embrace if the need arises! As time passes by, baby steps turn into running, bicycling and then into driving. The teenage years seem to help lance the attachment of their umbilical cord and our baby has now developed into a mature adult. Mom and Dad are no longer within eyesight but can still be reached by phone or a visit when needed. In the Gospel reading today, the man whom was overcome with a legion of demons now was delivered from that torment. The healed man was now safe in the warmth of Christ, sitting at His feet. How I too yearn to feel that warmth, that closeness! We who are on this salvific journey have come to realize that there are times we too feel that warm presence and then there are also times we feel the cold bitter wind of the world, chapping at our skin. After warming ourselves at the feet of Christ, we too, just like the man in the Gospel reading today, are sent back out into the world sharing the light of Christ in a dry well of darkness, maturing in our faith. My path to mature as a Christian has been one of countless baby steps. Now days I find that I keep a close watch on my Father rather than jumping into the emptiness of the vast ocean of unbelief. Am I salty enough to make a difference within the depths of atheism? Am I warm enough to share the love of Christ with those God has dropped along my walk in life? Granddad Walton was a road-builder. He helped build I-81 and parts of the Skyline Drive. He was a road grader operator. My parents took me one day to visit him at work and actually see him operate that big piece of machinery. 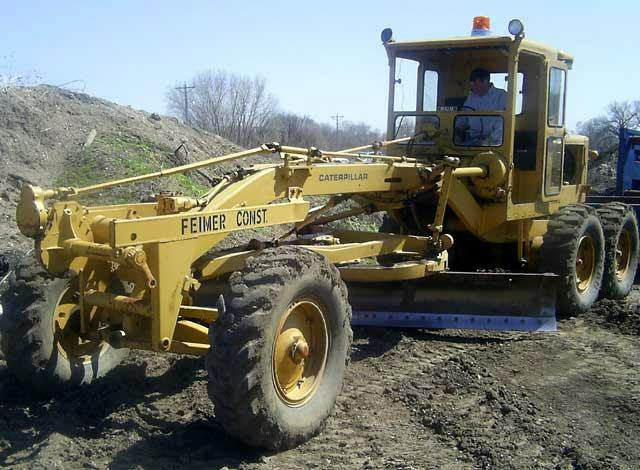 After pushing some gravel to grade, he climbed out of the cab, with his Beechnut Chewing Tobacco in his flannel shirt pocket, and with a big grin on his face, handed me a rock. This rock had big specks of glittering gold nuggets in it! As a young boy, my mind began to race with stories of pirates and treasures and such. I then started thinking about a new bicycle and oh my, the many paths my mind began to race down in a mere matter of seconds were countless! Granddad let me dream for awhile and then brought me back to earth by telling me that he had just given me a worthless rock, a piece of Fool’s Gold. My dreams of treasure had now deflated like a 7 day old birthday balloon. What seemed to be a priceless treasure had no value! One must ensure that the soul does not only make petition to God when standing in prayer, but during the whole day, as much as possible, one must unceasingly ascend to Him and remain with Him. In order to begin this task, one must first, during the course of the day, cry out to God more often, even if only with a few words, according to need and the work of the day. Beginning anything, for example, say “Bless, O Lord!” When you finish something, say, “Glory to Thee, O Lord”, and not only with your lips, but with feeling in your heart. If passions arise, say, “Save me, O Lord, I am perishing”. If the darkness of disturbing thoughts comes up, cry out: “Lead my soul out of prison”. If dishonest deeds present themselves and sin leads you to them, pray, “Set me, O Lord, in the way”, or “do not give up my feet to stumbling”. If sin takes hold of you and leads you to despair, cry out with the voice of the publican, “God, be merciful to me, a sinner”. Do this in every circumstance, or simply say often, “Lord, have mercy”, “Most Holy Theotokos save us”, “Holy Angel, my guardian, protect me”, or other such words. Say such prayers as often as possible, always making the effort for them comes from your heart, as if squeezed out of it. When we do this, we will frequently ascend to God in our hearts, making frequent petitions and prayers. Such increased frequency will bring about the habit of mental conversation with God. Glittering things of this world are worthless; they are a fool’s gold! What we should center our life on is the pursuit of the One who gave His life so that we can experience pure love, without omega. Ridding ourselves of all our sin and wanting to be a fool-for-Christ with an eternal value and not settling for the worthless glimmering rocks that this world values! Glory to Thee, O Lord, Glory to Thee! 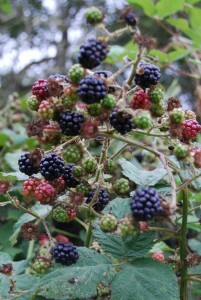 I remember my first time picking blackberries. Uncle Bob rounded up a car full of us youngsters and we headed for Highland County with a trunk full of buckets. And if you know my uncle, we were also loaded up with a wealth of stories about Brer Rabbit and the such; there was no need for the radio, Uncle Bob keep us entertained! Once arriving at the mountain pasture gate, Uncle Bob parked his Plymouth Fury and popped the trunk, handed us a bucket and pointed us in the direction of the briar patch. I remember that I was a little reluctant being the youngest and hoping not to encounter the bear Uncle Bob had been storying about on the way there. The patch was loaded with ripe berries and the day was filled with light. I stayed close to my older sisters, thinking I could out run them in case the bear drew near! After an hour or more, Uncle Bob announced that it was time to head home. My bucket was only partially filled since many of the berries I had picked, ended up in my belly instead of in the bucket! This fact was easily recognizable by the berry stains all over my face! Heading home, I entertained thoughts about tasting Aunt Jeans’ blackberry pie and homemade ice cream! At that young age, I came to realize that in order to obtain the tasty fruit of life; I had to encounter the briar patches thorns. After the berry stains wore off, thanks to lye soap and Aunt Jean’s elbow grease, the evidence of wounds and scratches on my arms, face and hands were obvious. It looked as though I lost a fight with an alley cat, but the fruit I had collected was well worth it. Obtaining the Fruit of the Spirit is a lot of work as well, and we will have to overcome the thorns and our scars to obtain it, but we must press on! St. John Climacus writes: “Do not be surprised that you fall every day; do not give up, but stand your ground courageously. And assuredly, the angel who guards you will honour your patience.” To be more like Christ means that in our imperfections we must work toward gathering the fruits of love, joy, peace, long-suffering, kindness, goodness and faith. And in this life, the greatest fruit is amongst the thorns: Then Jesus came out, wearing the thorny crown and the purple outer garment. And Pilate saith to them, “Behold, the Man.” [Jn. 19:5] The Fruit of Life has been prepared! Taste and see that the Lord is good, Glory to Thee, O Lord, Glory to Thee!